There are at least two artists which use this name 1. A rock musician from England 2. A trumpet player 1. Ray Davies (born June 21, 1944 at Fortis Green, London, full name Raymond Douglas Davies) is an influential english rock musician, best known as lead singer-songwriter for The Kinks - one of the most influential, prolific and long-lived british invasion bands - which he led with his younger brother, Dave Davies. He has also acted, directed and produced shows for theater and television. 1. Ray Davies (born June 21, 1944 at Fortis Green, London, full name Raymond Douglas Davies) is an influential english rock musician, best known as lead singer-songwriter for The Kinks - one of the most influential, prolific and long-lived british invasion bands - which he led with his younger brother, Dave Davies. He has also acted, directed and produced shows for theater and television. Since the demise of The Kinks in the mid-90s Ray Davies has embarked on a critically successful solo career. 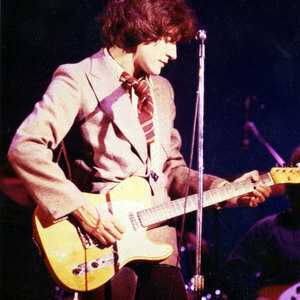 His January 2006 release Other People's Lives was his first top 30 hit in the UK since 1980s, when he worked with The Kinks. He released his second solo release Working Man's Caf&eacute; in October 2007. 2. Ray Davies is a trumpeter and film composer.